Phil Roe represents Tennessee’s 1st Congressional District. A resident of Johnson City serving his 4th term in Congress, Phil has a strong work ethic and is committed to working on behalf of the 1st District, Tennessee & our nation. Congressman Roe serves on the Education & Workforce Committee, where he chairs the Subcommittee on Health, Employment, Labor & Pensions. Phil also serves on the Committee on Veterans’ Affairs, where he sits on the Oversight & Investigations and Health Subcommittees. 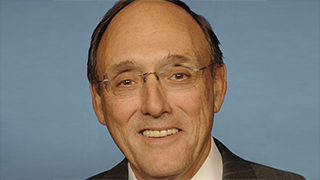 The Access Live event was hosted by Congressman Phil Roe, who represents the 1st District of Tennessee. He addressed the three recent hurricanes - Harvey, Irma, and Maria and the support that has poured in. He discussed reforming the VA, The Choice Program and the Forever GI bill. The congressman also spoke with participants about Medicare, the Affordable Healthcare Act and improving the mental health system.